A Breaking News for Advocates in India, the Centre through a corrigendum, has clarified that all legal services rendered by Advocates are taxable under the new Goods and Services Tax (GST) law under reverse charge basis. 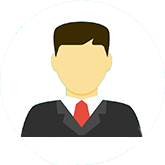 Services supplied by an individual advocate including a senior advocate by way of representational services by any court, tribunal or authority, directly or indirectly, to any business entity located in taxable territory, including where contract provision of such service has been entered through another advocate or firm of advocates, by way of legal services , to a business entity. what does this mean --legal services rendered by Advocates are taxable under the new Goods and Services Tax (GST) law under reverse charge basis. A Breaking News for Advocates in India, the Centre through a corrigendum, has clarified that all legal services rendered by Advocates are taxable under the new Goods and Services Tax (GST) law under reverse charge basis. 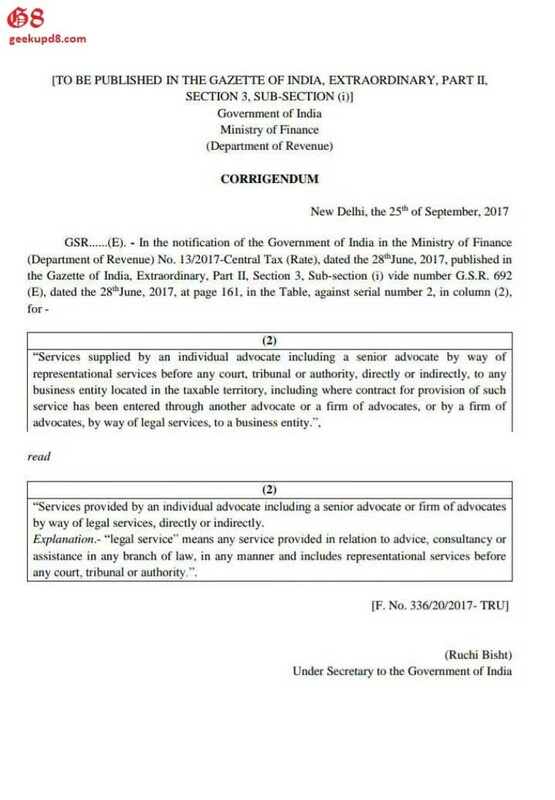 In the notification it has been mentioned that: Services supplied by an individual advocate including a senior advocate by way of representational services by any court, tribunal or authority, directly or indirectly, to any business entity located in taxable territory, including where contract provision of such service has been entered through another advocate or firm of advocates, by way of legal services , to a business entity.